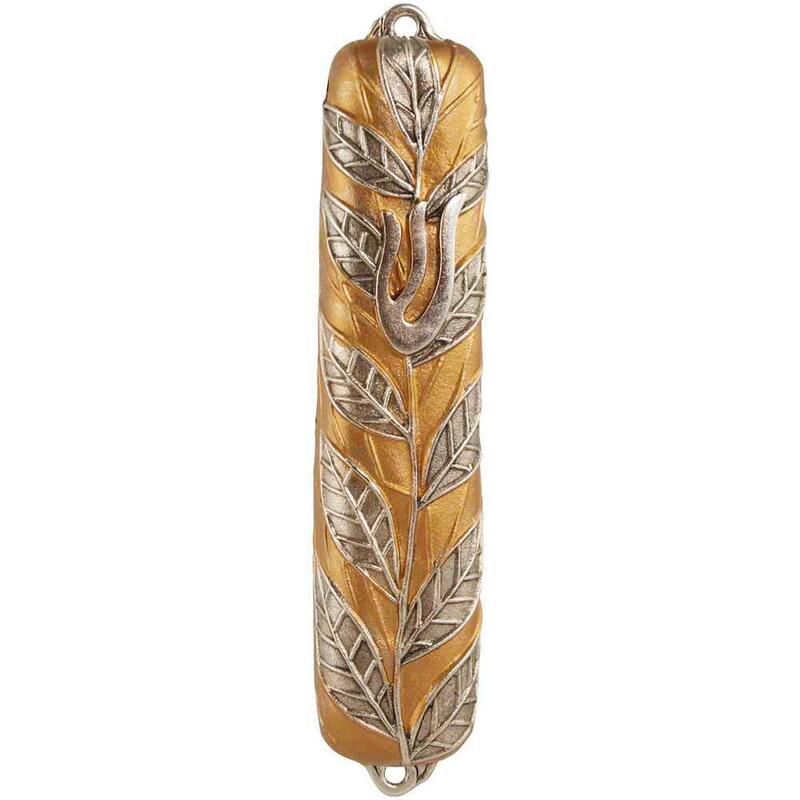 Intricate Leaf Patterns Are Climbing Around This Casted Pewter Mezuzah. With The Background Plated In 24k Gold The Pewter Leaves Appear To Be 3-Dimentional. This Nature Inspired Mezuzah Is 4.5" Tall. The mezuzah is magnificent and your service was first class. Thank you for gracing our home!